In recent years there has been something of a trend of indies creating games that look and feel like the most retro of retro handheld games - the old Game Boy, monochrome titles. Clearly, a lot of developers entered the industry with fond memories of playing these kinds of games as kids, and wanting to do their own versions, and Save me Mr Tako! 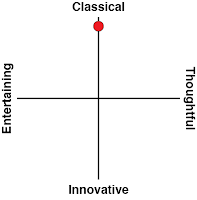 is the latest example of that. The problem that these kinds of nostalgic flashbacks face is that if they rely exclusively on nostalgia, it doesn't actually take long for the rest of the game to grate. The good news is that Mr Tako dodges that trap; it plucks platforming aesthetics and techniques from the past but then finds interesting ways to twist them into a unique vision. Save me Mr. Tako! puts players in control of an octopus that has a heart of gold and rescues a human women one stormy night. Sounds like a good thing to do, right? Sadly, this is a world where humans and octopi are at war. So, emboldened by his new found heroism and respect for humanity, Mr. Tako sets out to change the minds of human and octopi alike to resolve the conflicts between the two species. I could rattle off a list of games which the title either plays like or seems inspired by, such as The Legend of Zelda: A Link's Awakening, any Mario or Kirby game from the era or even Adventure Island. However, that seems like a disservice to Mr Tako itself, and the very interesting things that it does within its homages. I often find myself saying that the opening moments of a game make or break a game. It is the way the game gives players what they need to know to play in the first place, as well as establishing the emotion and tone that sets the expectations of what is to come. It's hard to do. There are AAA games which came out this year, which still fail to perfect the balance and instead feel like an artificial slog right from the outset in the way they restrict the player for hours before finally letting the game open up to its full experience for them later. Mr Tako keeps the introduction brief, but sets the right emotional notes before setting players the task of navigating six worlds filled with platforming, but also characters and objects that help to push the narrative forward. Outdoor levels lead up to dungeons that continue the same mechanics but throw in a boss battle at the end. 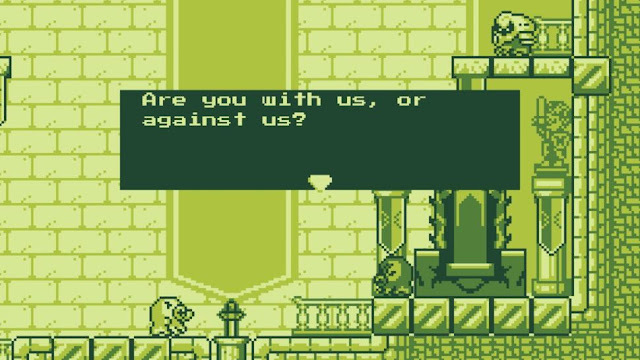 The boss battles are intriguing enough and while they offer a solid homage to the past, I will share just one example of how Mr Tako only uses the homage as a springboard to its own ideas. 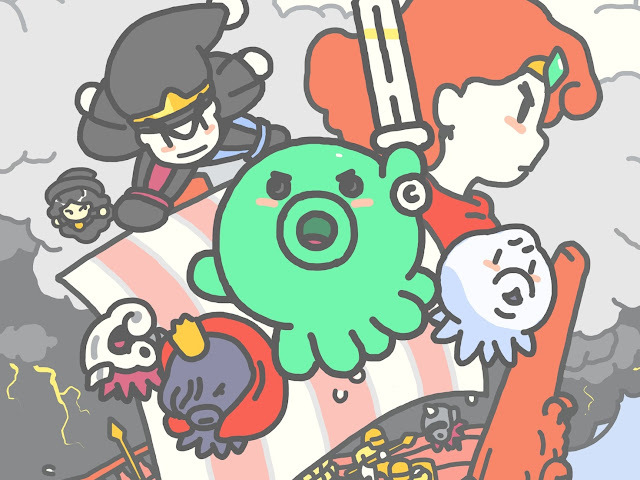 The boss is a flying beast it is too high for Mr Tako to reach, however the bubbles Mr Tako shoots disable an enemy. This beast throws smaller flying beasts at Mr Tako which he can then shoot to disable, turning them into platforms and allowing him to jump high enough to then shoot at the beast. When it comes down to it, when a game sells itself on nostalgic memories - the good, the bad and the ugly are going to come with those memories. However, Mr. Tako isn’t a clone of a game I played a long time ago, it is a mixture of ideas, emotions and techniques which the era it sets to plant itself in pioneered. 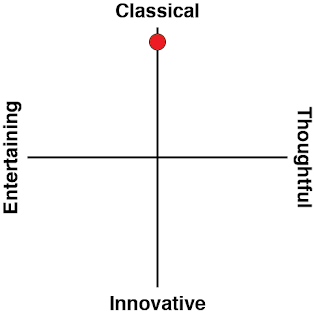 The result is a game that becomes a unique experience against modern titles and something that I could only dream of when the Game Boy first came out. Because of this some ideas the game reintroduces which have long been forgotten continue to remind me of bygone titles. A mechanic which centres around collecting up to 50 different collectible hats reminds me deeply of the ring mechanic from The Legend of Zelda: Oracle of Ages and Seasons, both in how to obtain certain rings through side quests, and the execution of the actions they perform. A simple example can be seen by the first hat obtainable, which signifies the friendship Mr. Tako has formed with the giver, its action blesses the player to take a hit before death. Other hats are a little bit more practical such as ones which allow Mr Tako to shoot out alternative objects instead of bubbles as his weapon. What wraps the game together is the dialogue which crafts the worlds characters. It creates a living breathing society that reflects on both the humanity of the octopi and the ethical similarities to how humans see outsiders. The humans instantly seem as a force to root for, while the octopi an antagonist, but it is through the similarities between the groups closeness to reality that will sink players in to find the good in the humans that Mr. Tako sees. 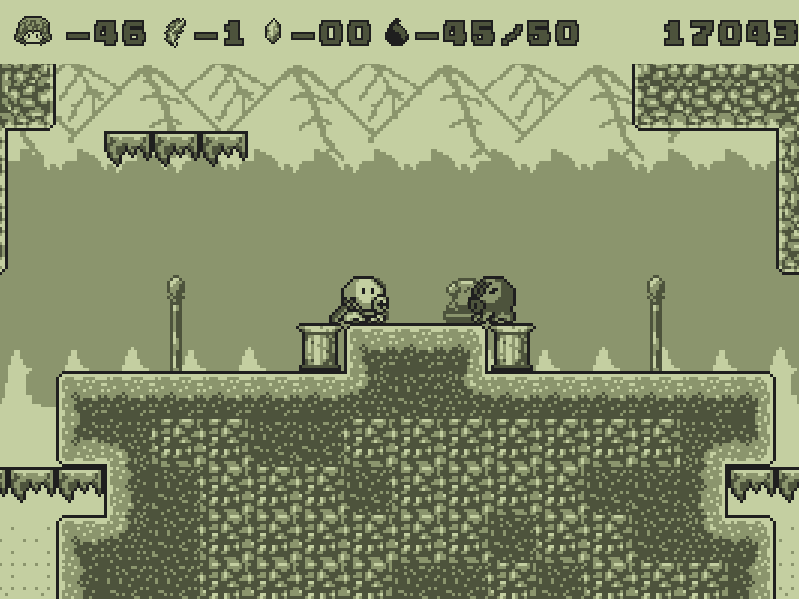 You probably came for the retro nostalgia, but in Save me Mr Tako! you'll get something far more robust.